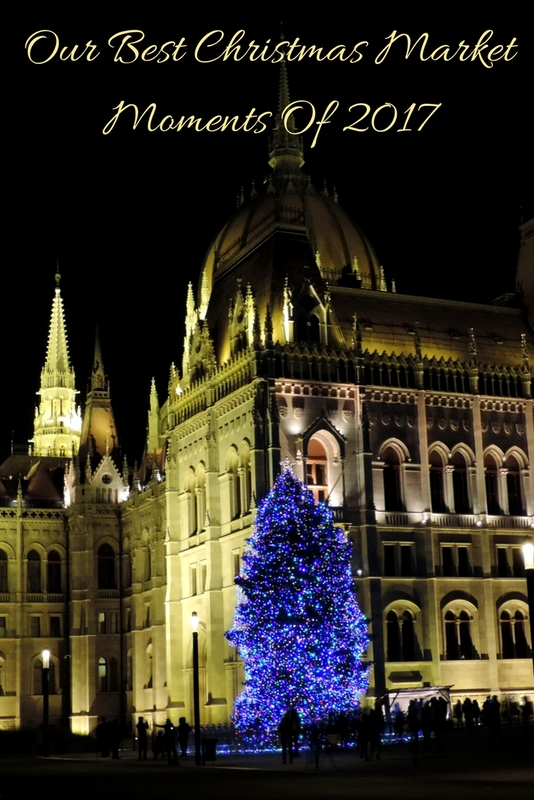 Christmas markets are the best attractions to experience in Europe if you visit in December. 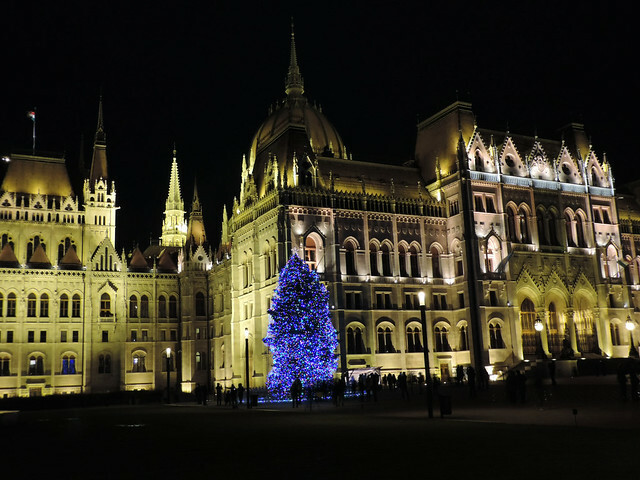 They have a long tradition in most of the countries and visiting them means seeing wonderful European old towns dressed up in Christmas lights. They feel like a month long street festival. They smell like mulled wine and chimney cake. Who can resist that? Prague is always magical. It’s one of our favorite cities in Europe. 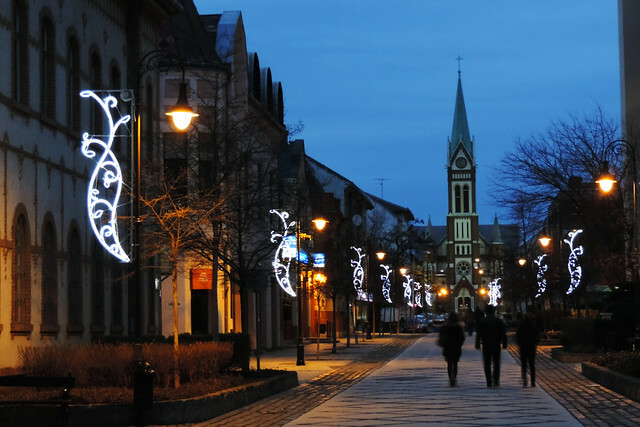 Of course, Christmas has its own vibe on the narrow streets and old squares. 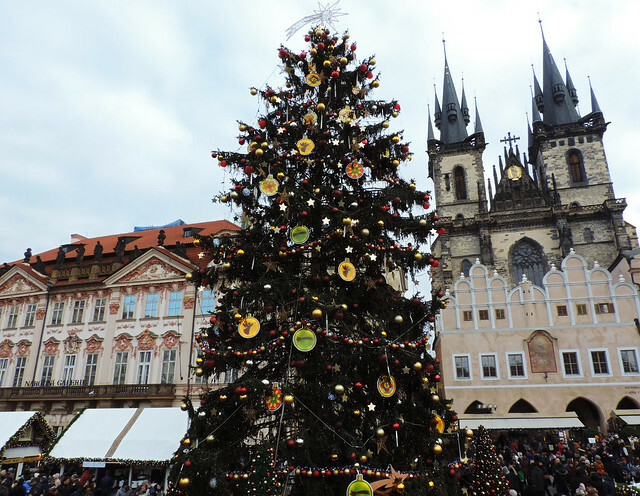 The highlight of the Christmas markets was the giant Christmas tree on the Old Town Square. A spectacular light and music show at the tree was a beautiful kickoff of the Christmas season. Chimney cakes have always been part of our Christmas market experience. 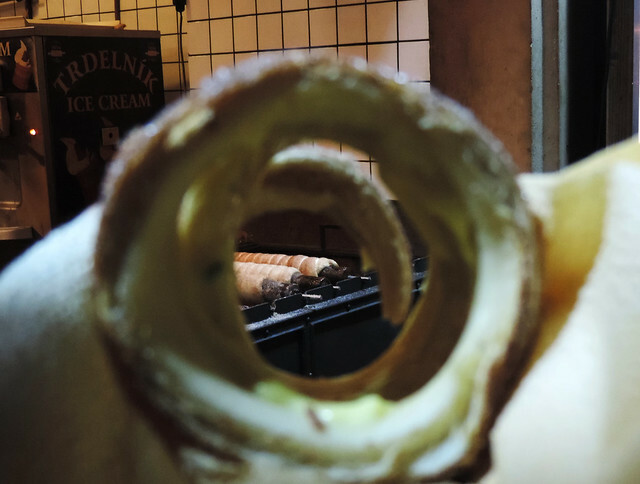 They have their tradition in Hungary, too, but Prague spoiled us with the best chimney cakes we’ve eaten and the greatest variety of flavours and fillings to choose from. Traditional cinnamon or walnut flavour, chocolate or eggnog or blueberry or caramel filling… The more we tried the harder it is to pick a favorite flavour. 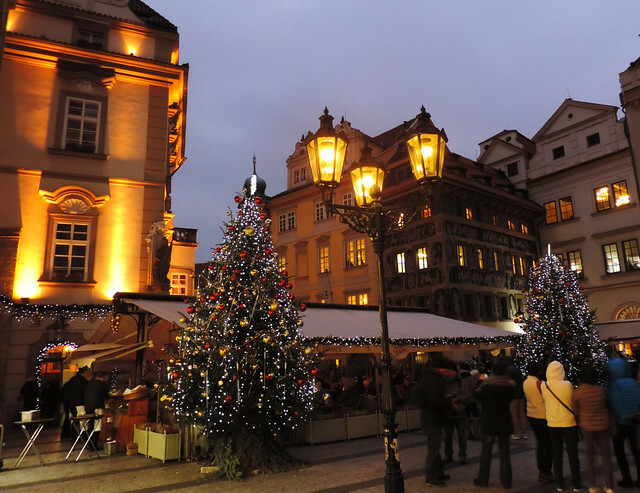 We’ve seen the nicest nativity scene at the Prague Castle, right by St. Vitus Cathedral. 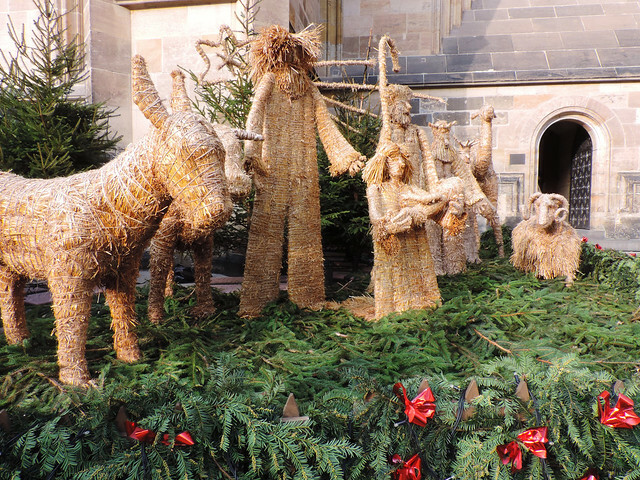 It was made of straw, no parade of colors and shiny decorations. It just stole our hearts with its simplicity and loveliness. 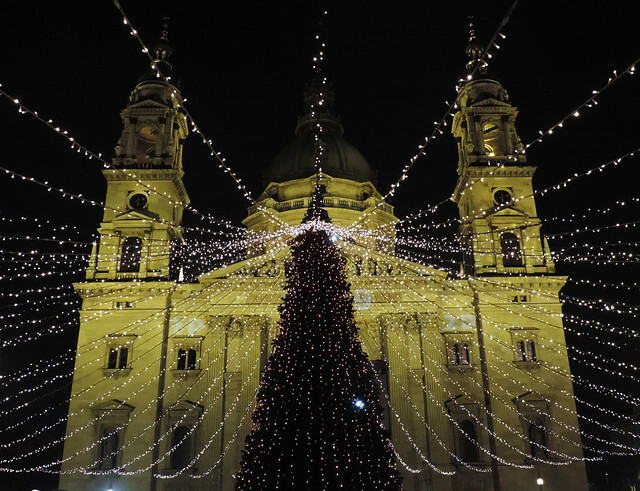 One of our favorite spot in the Budapest Christmas markets was St. Stephen’s Square. 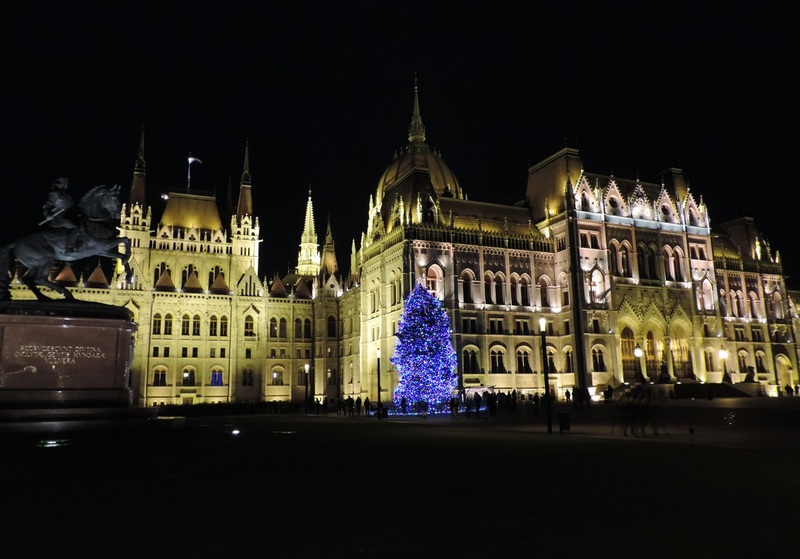 The basilica is a magnificent building anyway and now there’s a huge Christmas tree in front of it. 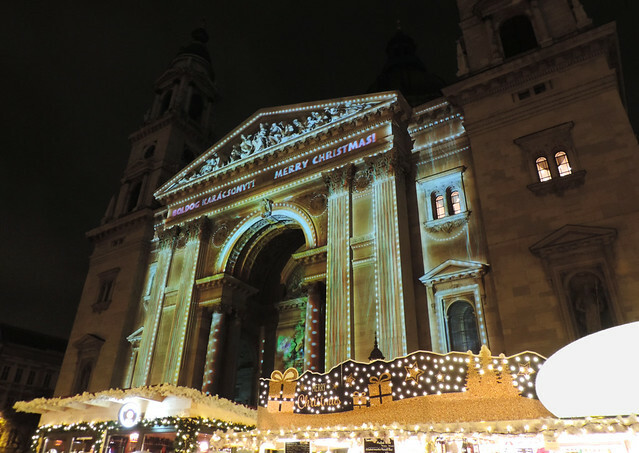 But the most special thing is the light show played on the facade of the basilica every half an hour after dark. 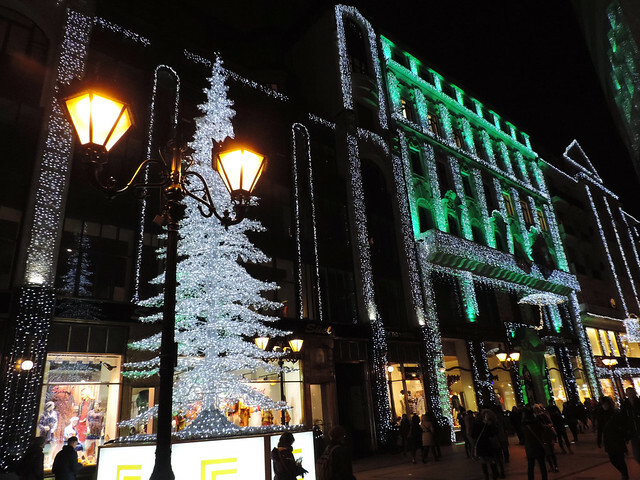 Since it gets dark around 4:30 pm in December, it means plenty of time to enjoy the squares, avenues, buildings decorated with pretty lights. St. Stephen’s Square, Vörösmarty Square, Váci Street, Deák Ferenc Street (the “Fashion Street”), Kossuth Square and Andrássy Avenue were our favorites.